Thursday Evening Farmers Market in Downtown. Best Strawberries I’ve tasted this year! 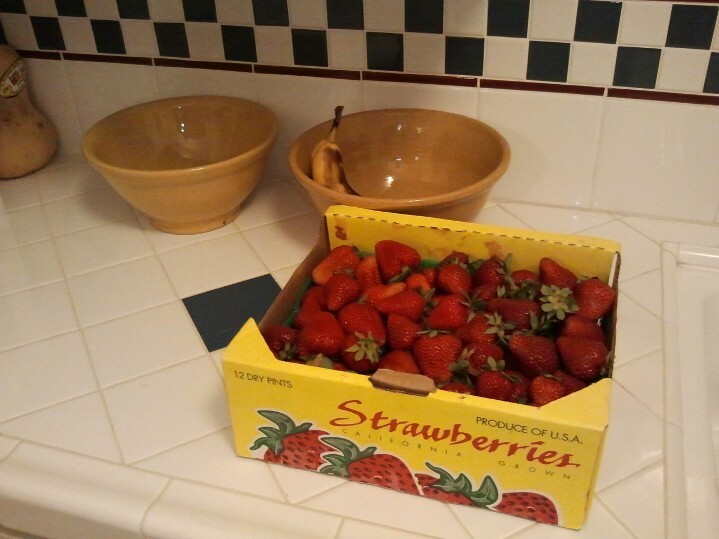 I’m making strawberry freezer jam tomorrow. Makes me excited to get started! These strawberries were the sweetest I have had in a long time. I don’t think they will last until next week’s Farmers Market. Have fun making jam!!! Include your kids if possible. I use to help my mom growing up and that is where I learned to cook from scratch. My daughter is amazing in the kitchen. I was taught to cook without measuring anything, that’s how I teach her. Of course she will be my sidekick in the kitchen tomorrow for the freezer jam, since she is responsible for devouring most of last year’s stock!!! Nothing like sweet strawberries! Yum! I’m eating a bowl full right now and watching NASCAR at Dover. Life’s good!